With the multitude of many of today’s different options, designing the perfect outdoor dining space has taken on new and exciting challenges. 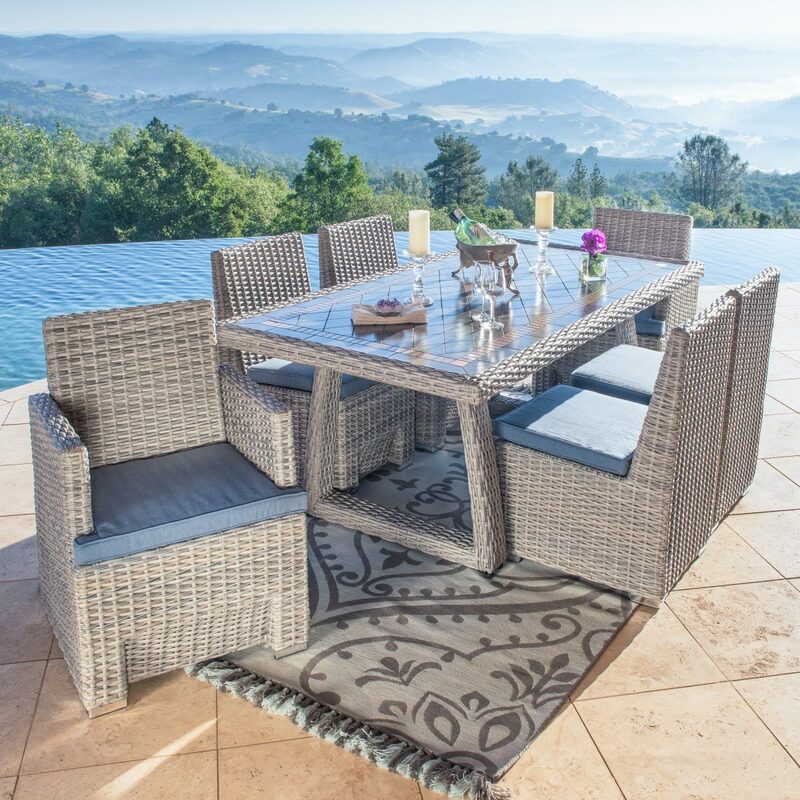 Though it may be easy to become overwhelmed with the number of styles, textures, colors, and furniture sets available today, you will undoubtedly be able to make your outdoor dining space welcoming and luxurious. Before addressing anything stylistically, there are some practical elements that must be taken into account to ensure that your outdoor space is beautiful and functional. 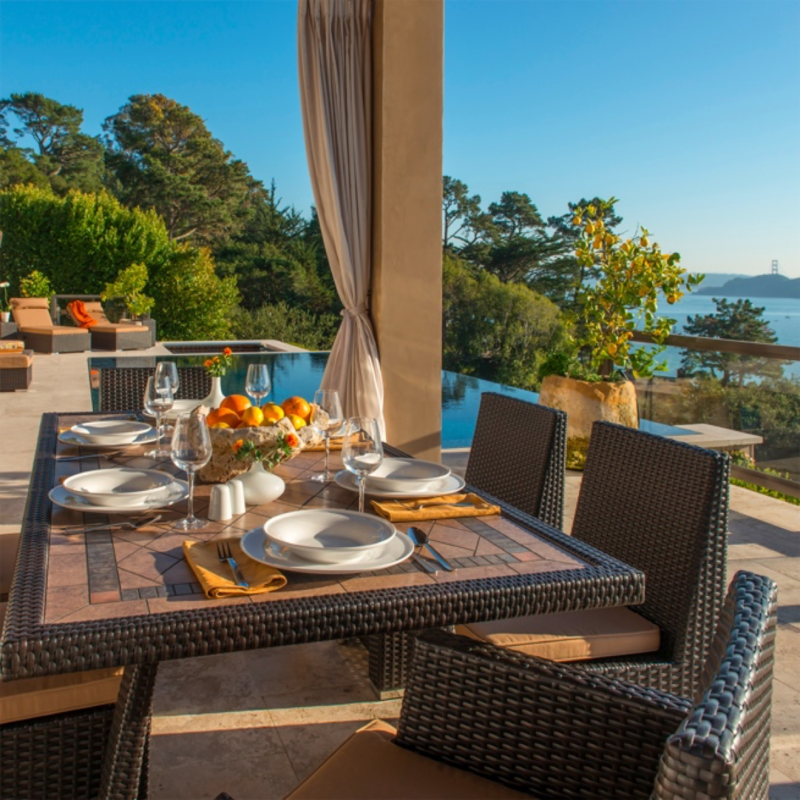 Below are some things to consider when creating your perfect outdoor dining space. The location of your dining area is important for the optimal functionality and style of your space. 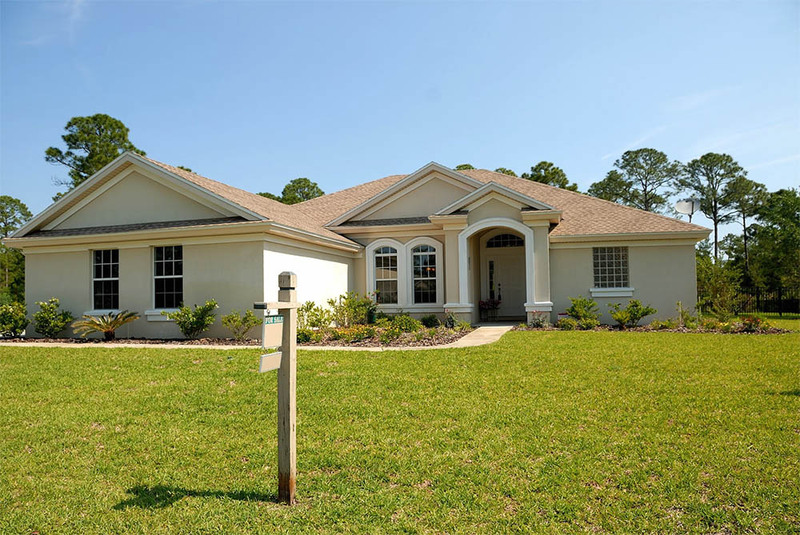 Do you prefer your outdoor dining experience in close proximity to the back entrance of your home? Perhaps you’d like to highlight that beautiful view of the calming ocean, awesome city skyline, or the miles of trees in the distance? Is your ultimate goal to have an intimate dining setting to enjoy with family and friends around the fire pit or fire table? Whether you decide to place your dining area near a beautiful view or around a focal point like an outdoor kitchen or fire pit, make sure your space is easily accessible and feels comfortable. Avoid creating an outdoor dining area that feels extremely cramped, isolated, or lonely. The days of outdoor dining at a wooden table with the primary concern being the possibility of splinters from the bench you were sitting on, have long since passed. As our tastes began to migrate toward molded plastic and PVC, we have since realized that durability is not our only concern – we long for comfort as well. Those one size fits all molded plastic chairs, while long lasting, did not provide the comfort we desired. With the advent of today’s materials and craftsmanship, the once prevalent picnic table and plastic outdoor chair set has made way to long-lasting bistro tables on balconies and terraces with city views, patio tables by the pool, and complete patio dining sets near the outdoor kitchen. The furniture you decide to include in your dining area will depend on the size of your outdoor dining space. In those smaller spaces, whether it be on a balcony, terrace or small patio area, a small bistro set may be the perfect fit. If your outdoor dining space allows for a little more room, a standard 5 piece dining set may be a better option. Is your large outdoor living space more of an extension of your indoor space? If so, you may want a complete multiple piece dining table set for those evenings dining ‘al fresco with family and friends. To fill those large outdoor dining and living spaces a complete dining set and deep seating collection will help make your space feel like a true extension of the indoors. It’s important to also tie in extra seating with a deep seating sectional and chaise lounges to accommodate large number of guests. 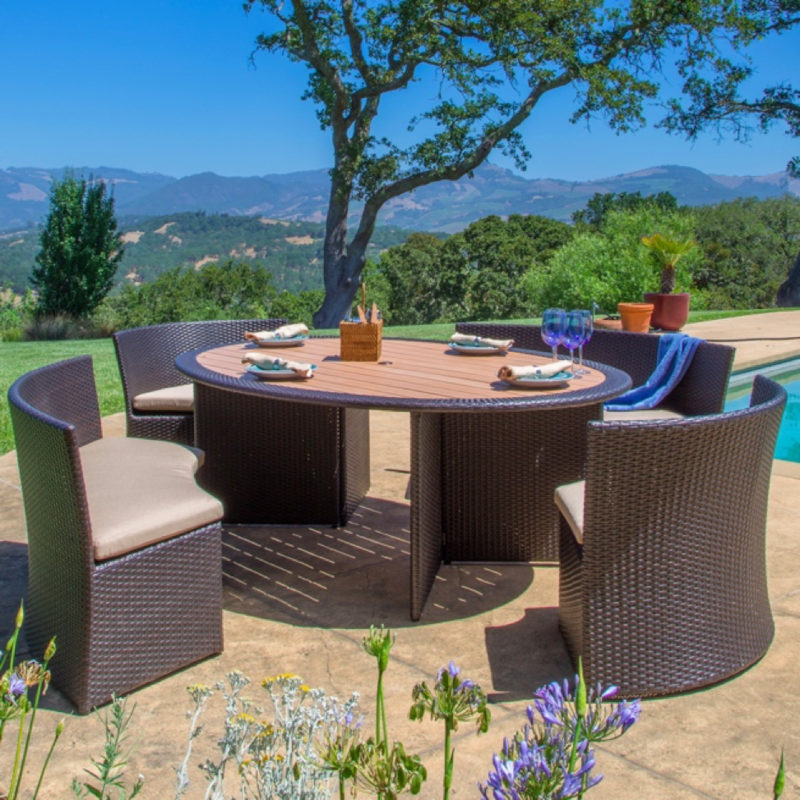 Whether you prefer a more intimate dining experience or frequently host big dinner parties, you want to make sure that the dining set and additional seating you choose accommodates all your guests and fits nicely into your outdoor dining area. 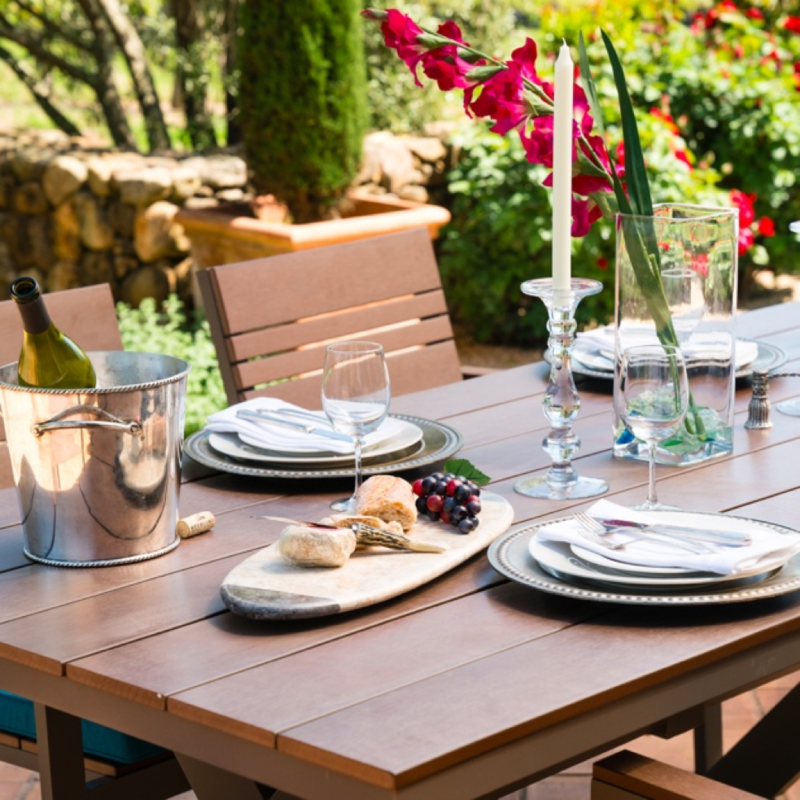 Now that you’ve decided on what dining set fits best in your space and where to place it, it’s time to incorporate your personal style to create the right ambience in your outdoor space. What type of atmosphere do we wish to create? Bright and bold, family friendly, or intimate and relaxed? Are the natural surroundings more earth toned colors, or does your space call for a light and airy seashore motif? Find a color palette, lighting, and fabric patterns that tie the space together to create the ambience you desire. If your natural surroundings are more earthy or have a desert feel, it is always best to stick with an earth toned composition and fabrics with texture. A resin wicker set in a variety of earth tones from tan to espresso to a slate gray is a great option for a more neutral style. 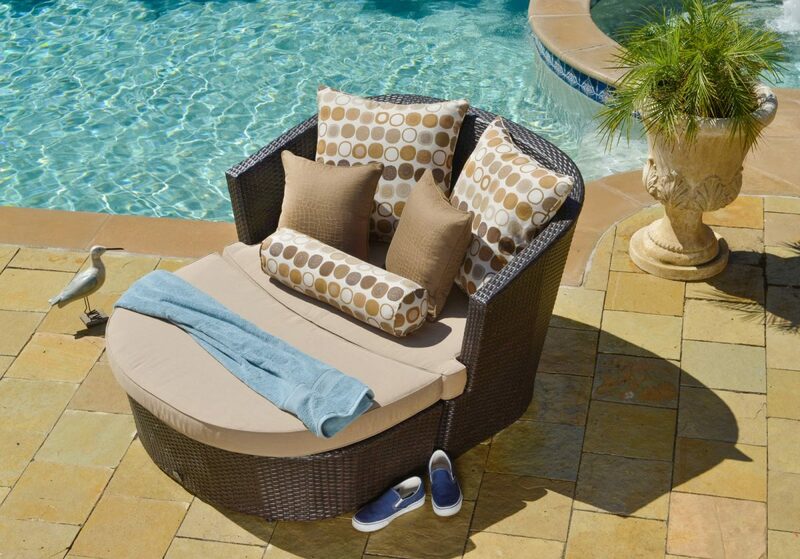 Or perhaps a patio set with brown color framing material with contrasting lighter or darker seat cushions is more your style. To add contrast and a designer feel, complement your furniture set with contrasting throw pillows and dining accessories. Adding some extra greenery will help maintain that natural outdoor feel as well. If your outdoor dining space has more of a beach feel with lighter white and gray based colors, a slate gray based resin wicker with a contrasting blue or cream colored accessories may be more appropriate. Adding something stone based like a fountain may be just the thing to offer a personalized touch to your outdoor patio dining area. If space allows a matching club chair set, modular sectional or chaise lounge may allow for additional seating space and turn your outdoor patio into a true outdoor living space. Never allow your greenery to affect the natural light in your space. If it is extremely bright, allow the greenery to cast some pleasing shadows for natural shade, or utilize a patio umbrella to avoid the heat. When it comes to artificial lighting, candles, lamps, wall sconces and electrical or solar powered ambiance lighting will add to the overall feel of your dining area. Keep in mind many of the same accessories used in decorating your indoor living spaces work well outside and withstand the natural elements well. Your outdoor dining space will no longer feature a weather beaten wooden table in the blazing hot sun, but one where you can spend hours in total comfort with friends and family, enjoying a five star resort feel in your own backyard. With the multitude of stylish and affordable options of quality bistro tables, patio sets, outdoor dining sets available, you can transform any outdoor space into your perfect outdoor dining area to entertain your guests for years to come.